Each “session” lasts roughly 30-40 minutes and can include a variety of techniques & technology, or even a combination, according to what results you would like to see and what it is exactly you would like to find relief from. Sessions are often customized with the individual in mind as individuals respond differently to different techniques. For example, two clients seeking relief from depression may utilize different therapies. For some, VR may be the best tool to use, for others brainwave entrainment, meditation, etc. may be the superior option. A zero gravity, reclined and contoured chair that enables an immersive experience through deep relaxation, 3D sound, neuromuscular stimulation, and multi-frequency acoustic vibrations. The Brain Spa offers several types of sessions in the meditation chair, including relaxation and stimulation sessions synchronized with nature sounds, music, and neuromuscular massage. All of the sessions produce an ultimate experience of profound serenity, meditation, and physiological balance. Using visually-oriented brainwave entrainment (BWE), specific brainwave states can be induced and promoted. For example, an “alpha” brainwave pattern is responsible for the calm, idle, meditative mindset. Lower, calmer brainwave states are involved in the body’s natural healing process with many people not spending enough daily time in these restorative states. Using our BWE glasses, light is pulsed into your eyes at the same frequency as the brainwave state desired, stimulating the brain to engage in what’s called a “frequency following response” which facilitates your brain matching the frequency of the light pulses. The effects can be felt after a single session but the most profound change occurs after repeated sessions. BWE can be used in a huge variety of ways to interact with a large number of conditions/end goals. Most notably, BWE is being understood to be a fantastic, simple, noninvasive protocol for PTSD, the side effects of concussions, cognitive priming, among many others! Virtual reality (VR) headgear places you in an immersive environment that enhances your ability to relax and focus on a peaceful, guided experience. You can choose from a variety of experiences that help focus your brain and drain outside thoughts. VR can also be used as an aid in meditation, providing a guiding visual focus to aid you during your session. Many forms of meditative practices are in development at Neurovella; stay tuned for the entire NEUROVELLA OCTAVE, which offers more VR modules and guided experiences to choose from. When you’re under extreme stress, your body quickly depletes nutrients. This type of stress comes from many causes -- depression, anxiety, injury, illness, pain, and intensive athletic training, to name a few. IV infusion therapy helps by boosting energy, strengthening your immune system, and facilitating healing. When you take supplements orally, they travel through your gastrointestinal tract, where multiple determinants may intervene to prevent their absorption into your bloodstream. An intravenous (IV) infusion bypasses those roadblocks by delivering nutrients directly into your bloodstream. You receive the full therapeutic dose, and the nutrients are rapidly distributed throughout your body to the cells that require them. Depression is one of the most common mental health disorders in adults, although it doesn’t affect everyone equally: Women are 70% more likely than men to become depressed. 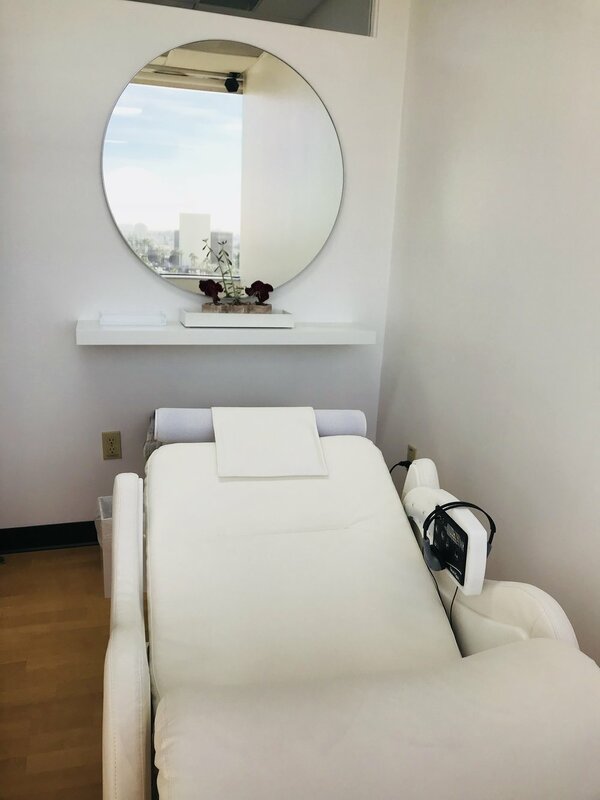 The team at Neurovella Brain Spa in Los Angeles offers advanced therapies that relieve symptoms of depression by retraining brain waves, eliminating stress and improving your overall wellness. Contact us to learn more about cutting-edge therapies that help lighten the symptoms of depression. Post-Traumatic Stress Disorder (PTSD) often is associated with women and men in the military, but it can affect anyone who directly or indirectly experiences a traumatic event. The estimated 8% of adults who will develop PTSD experience ongoing distress and anxiety that may be debilitating. The team at Neurovella Brain Spa in Los Angeles is passionate about relieving symptoms of PTSD with innovative meditation and brainwave entrainment therapies. Contact us to learn more about the benefits of meditation for PTSD. Any traumatic brain injury needs close monitoring, even if it’s only a mild concussion. If your concussion leads to ongoing headaches, confusion, or feeling like you’re in a fog, then meditation brainwave entrainment offered by the team at Neurovella Brain Spa in Los Angeles can relieve symptoms and restore balance to brain activity. They help NFL players and other clients in the community get help for symptoms caused by concussions. Whether you’ve had a super stressful week or you deal with so much relentless stress that you’ve lost the ability to cope, the team at the Neurovella Brain Spa in Los Angeles have innovative meditative therapies and brain training that provide emotional and physical stress relief. 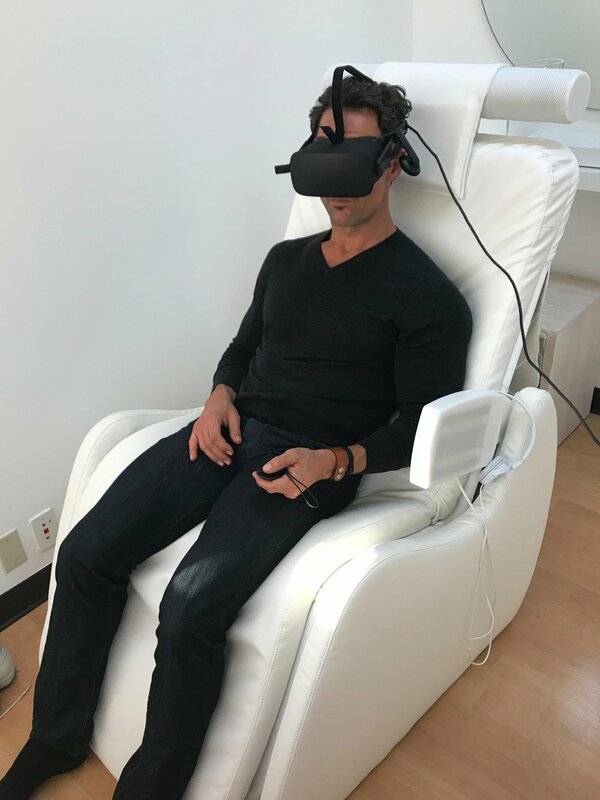 Contact us to learn about immersive stress-relief therapies like their meditation chair and guided meditation using virtual reality.